What if I told you that with a prescription eyedrop and an applicator brush, your eyelashes could grow thicker, darker, and longer in a matter of weeks? Yes, this is actually possible with the help of a product called Latisse! Latisse is used to treat an inadequate amount of eyelashes (i.e. hypotrichosis) and requires a prescription from a physician. In this article, I’ll review what you need to know about Latisse, including how it stacks up to over the counter lash serums! Approved by the FDA in 2008, after clinical studies were completed by 16 doctors nationwide, Latisse quickly gained popularity. The drug’s active ingredient is Bimatoprost, a prostaglandin analog used for the treatment of glaucoma. Prostaglandin analogs are a drug class designed to lower eye pressure. These drugs have been widely used for the treatment of glaucoma in the United States since 1996, and have a favorable safety profile, although some side effects. Physicians and patients noticed that one side effect of the drop was eyelash growth. It is not known exactly how they work, but researchers believe prostaglandin analogs increase the growth cycle phase of the eyelash hair. Once this was confirmed, Latisse was soon born. Those who use Latisse experience outstanding results! Clinical studies showed gradual lash growth over time, with some people beginning to see longer lashes as soon as 4 weeks, and full lash growth reported at 16 weeks. Patients involved with the clinical studies found their eyelashes grew 25% longer. Furthermore, they had a whopping 106% increase in lash thickness and an 18% increase in lash darkness. Honestly, the before and after pictures from the studies are pretty remarkable. It is important to note that your eyelashes will return to their normal length several weeks or months after discontinuing Latisse. Latisse application takes place at night – once all makeup is removed, face cleansing and moisturizing are complete, and contact lenses are removed. Latisse comes with a dropper bottle and single-use applicator brushes. A drop is placed on the applicator brush and applied to the upper eyelid lash margin. The same process, with a different applicator brush, is repeated for the other eye. The applicator must be discarded after every single use. Care should be taken not to get any excess Latisse in the eye, around the eye, or on the lower lid margin as this could result in unwanted side effects (more information below). Once Latisse is applied to the treatment area, tissue should be used to blot around the eyes to prevent this from happening. It is also important not to touch the tip of the bottle or the applicator brush to other objects, surfaces, or fingers as contamination can occur and lead to infection. As with most medications, Latisse does have side effects. Below is a breakdown of each side effect from most common to least common. The most common side effects after using Latisse are itching and redness in the eyes. This is reversible and occurred in approximately 4% of patients in clinical studies. Fortunately, skin darkening has been reported to be reversible too. Care should be taken to wipe off excess solution on areas other than the upper lid margin. I find this is a common concern among my patients but it only occurred in 2.9% of patients involved in clinical studies. Patients with a history of blepharitis and dry eye syndrome may be more negatively affected. The active ingredient in Latisse can cause inflammation and the preservative in Latisse can lead to dry eye symptoms. The last side effect reported was darkening of the iris. This is rare but likely permanent. It is important to note that most patients tolerate Latisse well. With this in mind, if reactions occur, the prescribing provider should be contacted immediately. Patients who have had a history of inflammatory conditions, such as uveitis and macular edema, and patients being treated with a prostaglandin analog should use caution if considering using Latisse. Also, pregnant and nursing women should not use Latisse. These testimonials, directly from the manufacturer’s website, are from real patients who have used Latisse. The company states that none of the photos are retouched and none of the patients have mascara on. Latisse costs approximately $120 for a one month supply. The product includes one dropper bottle and 30 pairs of applicators. Also, pricing may vary depending on the pharmacy and if you get a 30 day or 90 day supply. Some insurance plans may cover the generic version of Latisse, and there are coupons available at select pharmacies that lower the cost to around $50 for the generic version if there is no insurance coverage. In some states, patients can purchase Latisse directly from their doctor’s office. Many brands are creating over the counter lash serums to compete with Latisse. These can easily be purchased over the counter or online. Their ingredients vary widely (more on that below) as do their prices. The ease of access to these products and overall lower cost is appealing to consumers, giving over the counter eyelash serums a viable market. It is important to note that Latisse is the first FDA approved eyelash growth serum with safety and success profiles AND known ingredients. Compare this to the multitude of over the counter products that claim to increase eyelash growth (many without any real data backing their claim) and this marketing can be confusing. Having a prescription product like Latisse guarantees you are getting the same product each time, with known ingredients that have been studied. 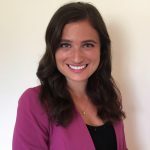 Although getting a prescription to use Latisse can be a hindrance for some, it is helpful to have a physician teach patients exactly how to use the product. This includes ensuring proper application techniques as well as help with any issues, side effects, or questions that may arise. As you can imagine, most over the counter lash serums have a wide range of ingredients, and the safety profile of these products are often unknown. Some contain Isopropyl Cloprostenate, a synthetic prostaglandin analog that is regulated by the FDA, like the active ingredient in Latisse. The FDA warned in 2011 that these products should undergo clinical studies to ensure safety since they are using an active ingredient that is considered a drug. Instead, some companies have made what the FDA considers false claims, saying their product is cosmetic and does not contain a drug. The controversy continues today between the FDA and these companies. On the other hand, Latisse is an ophthalmic solution, so if it gets in your eye, it is not expected to cause harm. But what about the over the counter serums? Unfortunately, many people experience a hypersensitivity reaction to the wide range of ingredients and preservatives in the over the counter lash serums. It is also important to note that when purchasing these products online, you cannot ensure it is the real product or if it is expired. Unfortunately, there have been reports and reviews about fake lash serums being distributed on online platforms. Furthermore, patient selection is important when prescribing Latisse. As previously mentioned, patients who are pregnant and nursing should avoid Latisse. Also, if a patient is already using a prostaglandin analog, Latisse may interfere with their treatment to lower eye pressure. Any patient who has a history of dryness or blepharitis should take careful consideration before starting Latisse since it can make matters worse. In my experience prescribing Latisse to patients, most of them have had great results in terms of eyelash growth. A lot of them have mentioned experiencing minimal side effects, most commonly some irritation or dryness and occasionally eyelid skin pigmentation. Upon careful analysis, I discovered the most common reason they experienced side effects is from not getting close enough to their upper lash line when applying Latisse. But this hasn’t deterred many of them from using the product, especially since they reported the side effects they experienced were reversible after taking a few days off from using Latisse and being more careful with application. As a woman, finding out about a product that enhances eyelash growth is intriguing and exciting. Latisse is FDA approved, clinically studied, and used under the supervision of a physician. As a consumer, I will admit the reported side effects of Latisse are little unnerving. Especially as a dry eye sufferer myself. But it’s comforting to know there is a low risk of side effects based on the results of the clinical studies, especially with the proper application technique. Also, it’s helpful to know what to look out for in case side effects do arise. Personally, I would never use one of the over the counter lash serums due to their long list of ingredients, lack of FDA approval, and potential for unknown side effects. Keep in mind, this product is applied very close to your eye on a daily basis. In this case, saving money is not worth the potential problems that can occur. I will leave you with this. 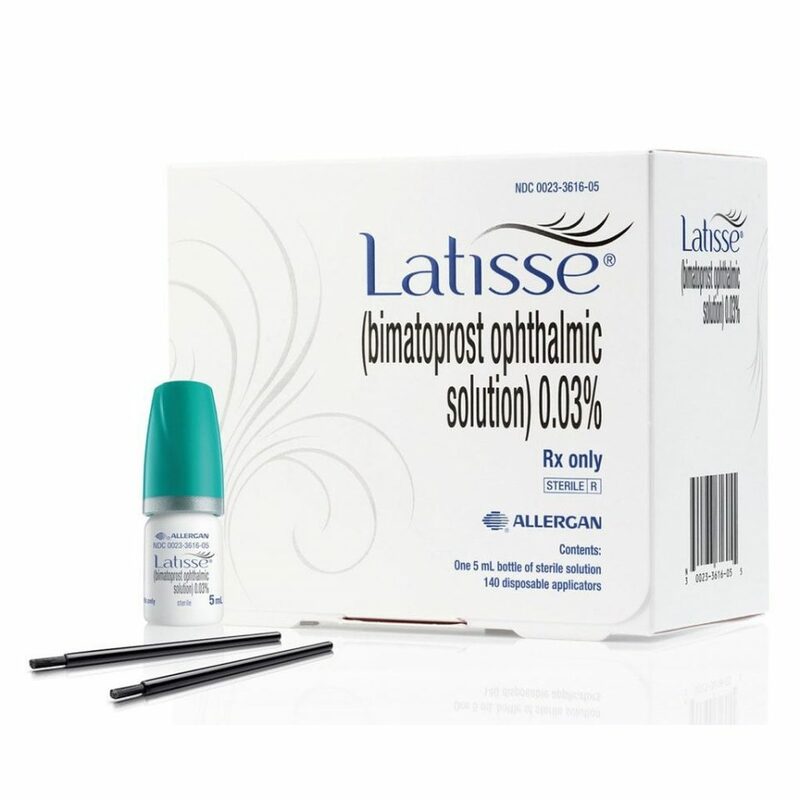 As eyecare providers, we regularly prescribe Bimatoprost, the active ingredient in Latisse, for many glaucoma patients. This drop is used inside of the patient’s eyes instead of on the eyelid. I would rather use a studied, ophthalmic drug as an eyelash growth serum than another product, plain and simple. If Latisse is something that is appealing to you, hopefully after reading this review you have a better understanding of the product and can talk with your eye care provider to see if you’re a good candidate to begin using it. What are your personal thoughts on Latisse? Leave your review in the comments below! Latisse is an FDA approved medication used to treat an inadequate amount of eyelashes (i.e. hypotrichosis) and requires a prescription from a physician. If you’re looking for a safe and effective way to improve your eyelash growth and appearance, I highly recommend giving Latisse a try!